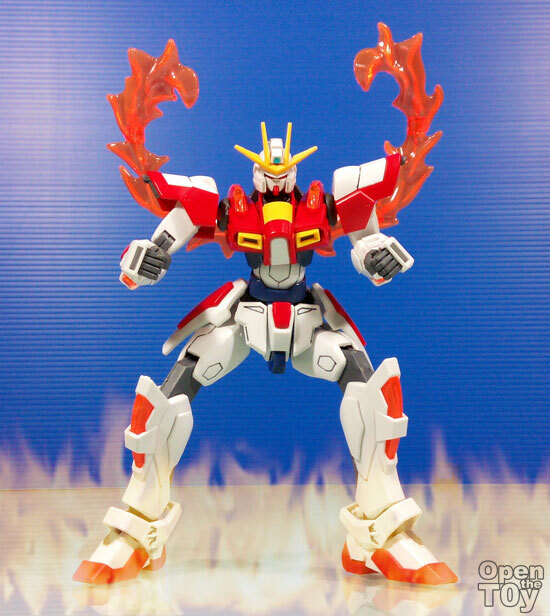 It has been sometime I build a Gunpla and the latest Gundam Build Fighter Try Burning Gundam get me excited. 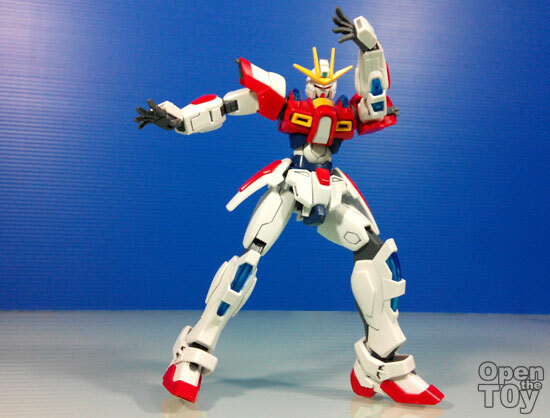 I will share with you how and what make this Gunpla interesting! 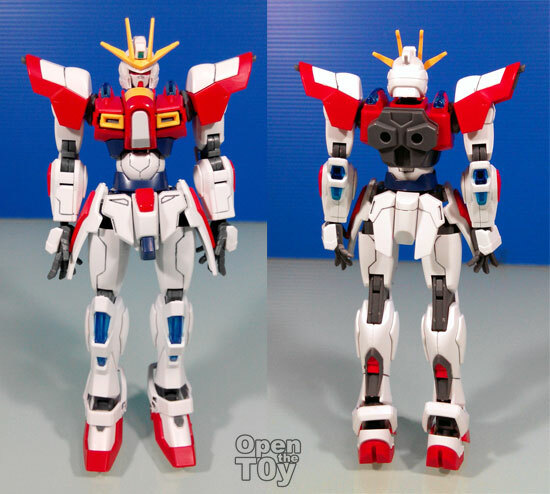 It took about 1.5 hours to build up this and I have to say with the size and all, this Gundam is really as accurate as in the Anime. 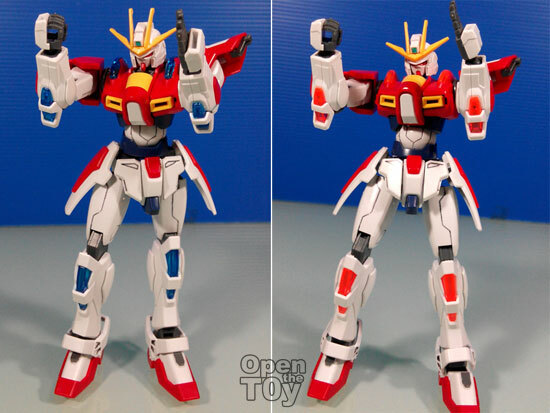 This is a naked Gundam which are those few who do not have guns, shield or sword. All it has was lot of his hands and some special effect which is great for me. So basically there isn't much to shout about right? Wrong. 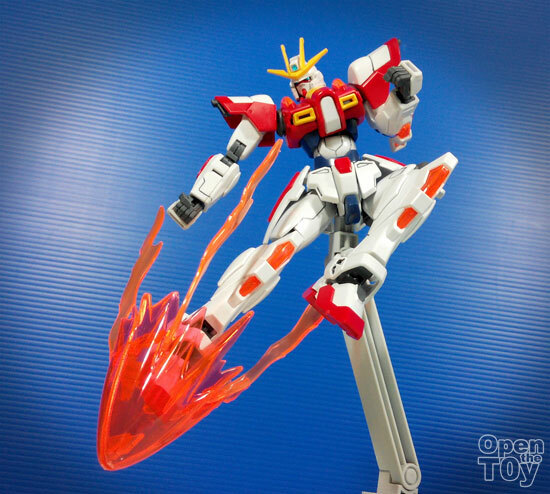 This Gunpla offer quite a lot of fun pack. 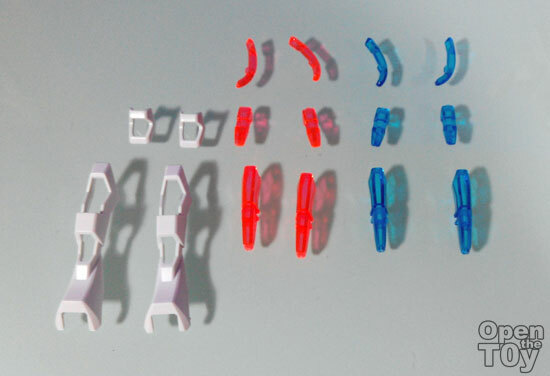 First the articulation is quite flexible. 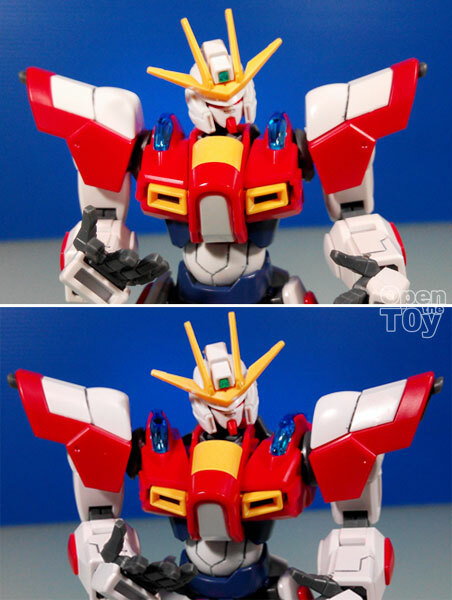 One of the feature was the chest expanding area which allow both of the hands to meet. 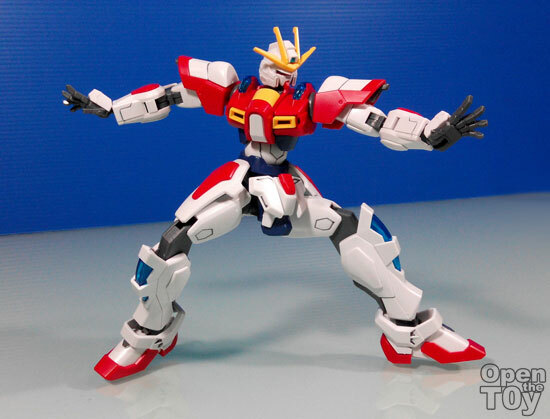 Here are some of the pose this Gundam can do! Even with great balance of the Crane pose like the Karata Kid can be done! Because the hands can meet, you can do the Kamehameha charging pose. 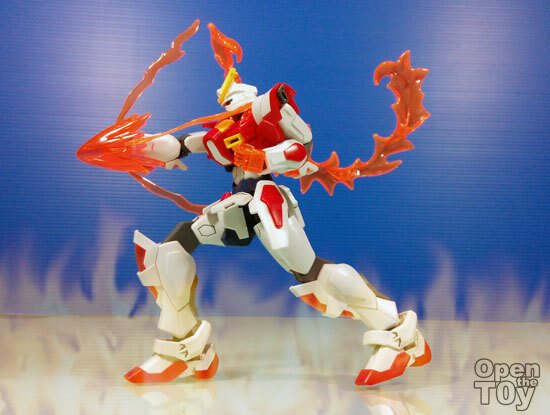 More fun part begin as this Gunpla offer alternative mode to Burning mode which you can change the color pats from Blue to Orange. Can you notice the color part change? Totally another feel. Now Burn mode on and let's max it shall we? Start pushing the limit!! Okay if you are wondering how the part fit, it fitted at the back. Nice effect that comes with the model kit. Okay on with the story. Push higher!! AHHhhhhh!!!!!! Finish it with the Fire Burning kick too! 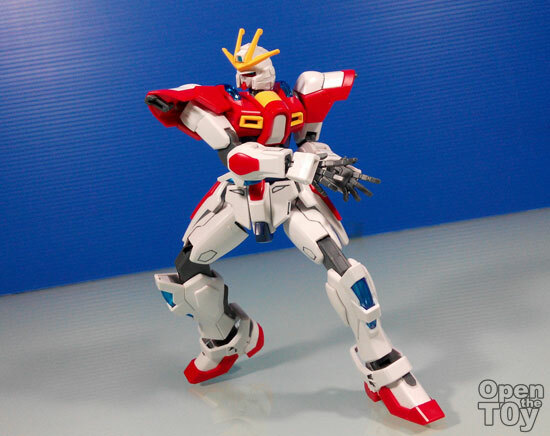 It has been sometime I encounter such a fun model kit packed with good effect and articulation. 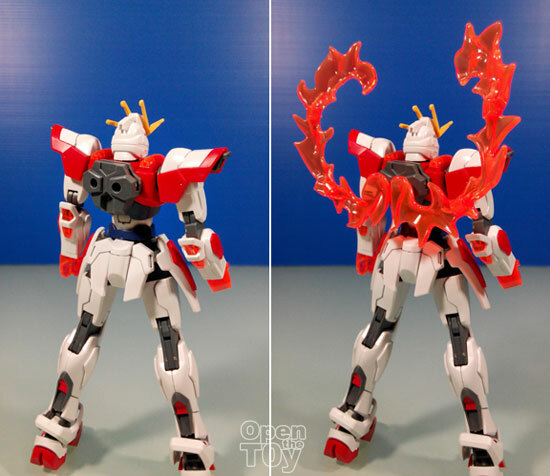 This Burning Gundam deserved some applause. 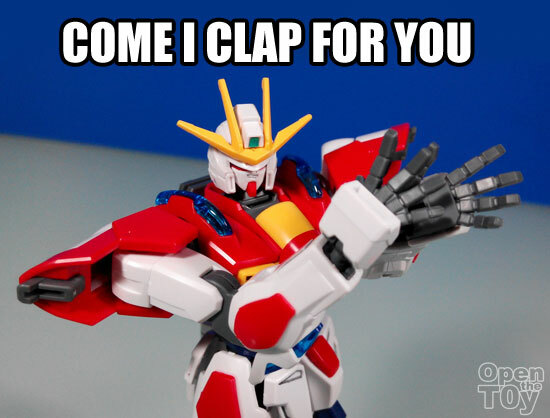 By the way, he can do clapping by himself! 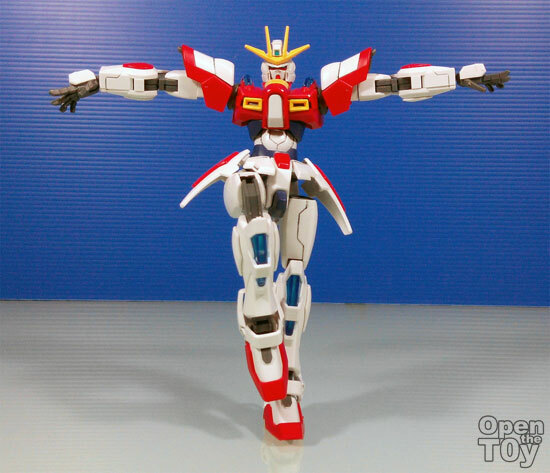 How rare you seen such Gunpla? 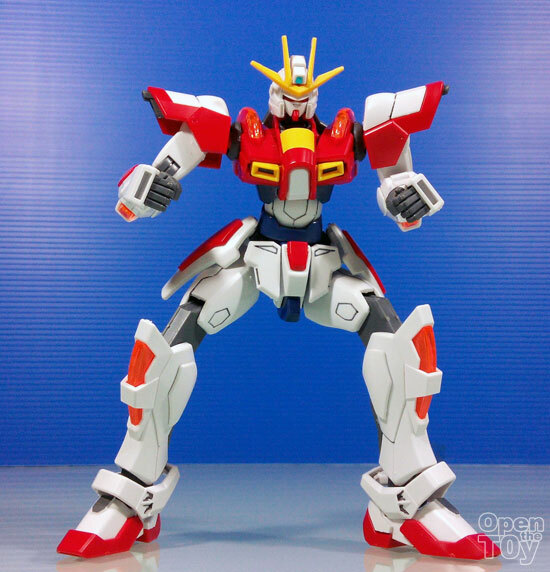 Honest opinion, HG is fitting for this Gunpla as in the Anime the size of this just fit nicely on a hand of a teenager. 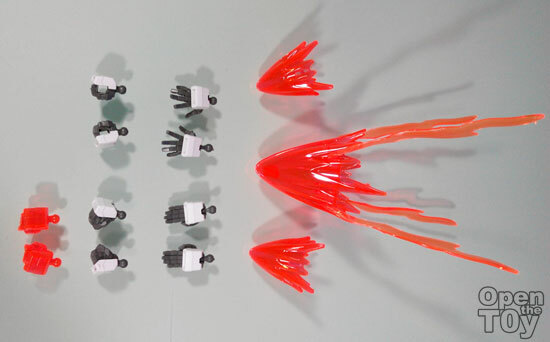 PS: The burning fire flame effect on the photo are just illustration, the toy effect do not burn but this figure is a HOT as in the popular figure now. 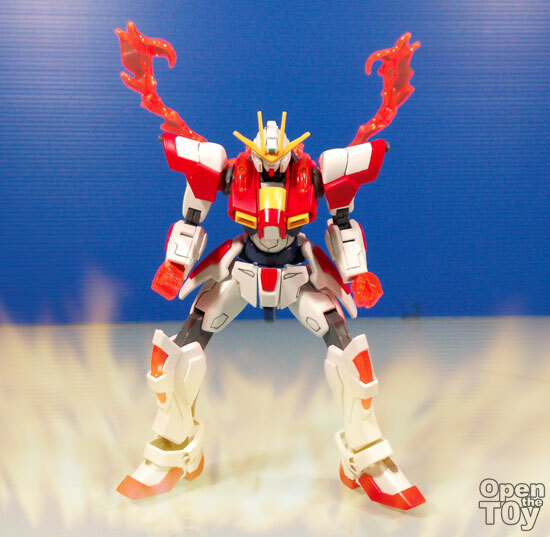 What do you think about this Burning Gundam?